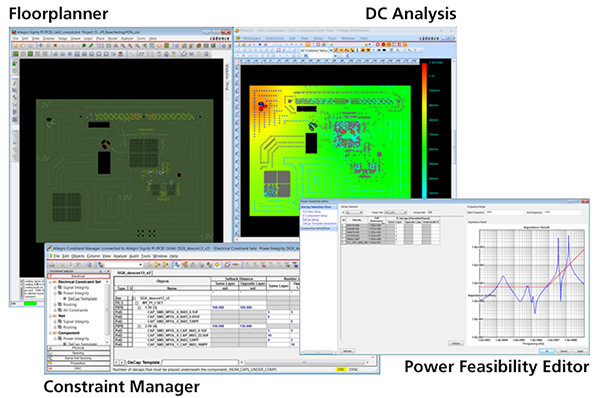 In PCB design, DC analysis is vital as numerous factors combine to exacerbate the problem of power integrity. Core voltage levels continue to drop; 1.2V and less are now common. As voltage is reduced, current requirements typically increase (IR drop = I * R). The miniaturization of electronics results in fewer layers and higher densities, thus reducing the available area for power nets. And antipads around vias perforate the planes and can overlap, creating the “Swiss cheese” effect. Complex boards can have dozens of power rails, hundreds of power nets (including filter nets) and even more components that make up the PDN. Sorting through hundreds of pages of schematics to ensure that the PDN is logically connected is one pain point. However, it may become even more painful on the back-end of the design process when power integrity analysis requires that all those nets and components be specified and modeled for power integrity analysis. This may take days or even weeks just to setup. An additional challenge is how the design issues are communicated: How does the PI engineer communicate issues and guidance to the PCB designer? How does the PCB designer communicate solutions to the PI engineer? How can the PCB designer determine if a solution is good? Fortunately, integration features are available to assist the PCB designer and PI engineer with these design and communication issues. In addition, the PCB designer has tools available to him to automatically calculate first-order electrical constraints to help get started if the PI engineer has not yet communicated the guidance. 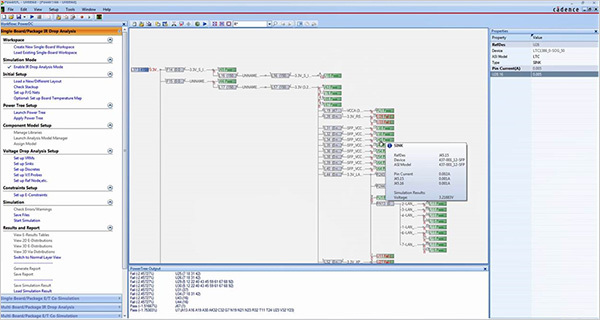 The Cadence Allegro® PowerTree™ technology allows the PCB layout specialists and hardware designers to graphically view source/sink definitions, discrete values, model names, net names, decoupling capacitor values, target impedance constraints, and more in the logical PDN topology. Hardware designers can perform early analysis sanity checks at the push of a button. 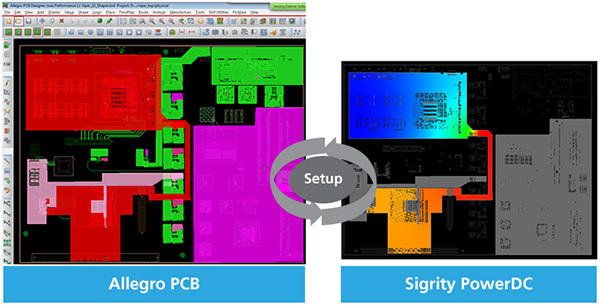 By using schematic data, they can determine if the PDN topology has been properly captured to meet the design criteria. 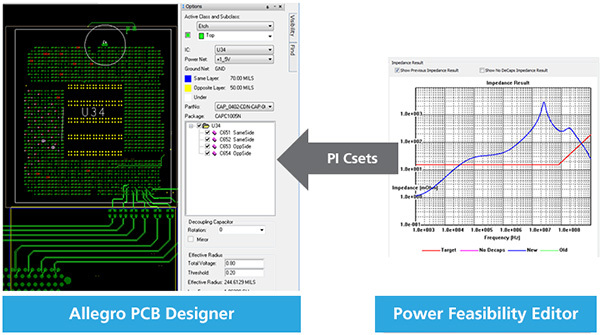 By empowering hardware designers and PCB layout specialists to perform simple analysis, PI experts can focus on more specialized analysis. With automated setup from PowerTree technology, PI experts and non-experts alike no longer need to spend days or weeks setting up PI analysis. Applying the PowerTree data to the physical design makes simulation as easy as the click of a button. Decoupling capacitor placement rules require the PI expert to perform analysis to determine the ideal de-cap scheme for each IC. In addition, PI expert must creates PI constraint sets to guide the PCB designers decap placement. 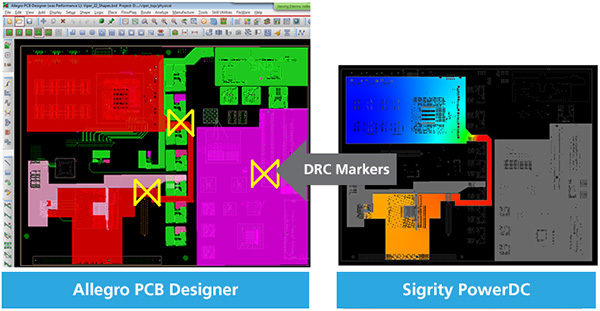 DRC markers determined by PI designers’ rules are annotated to the Cadence Allegro PCB Designer. These markers enable the PCB designer to understand PDN issues discovered by the PI engineer and address them. 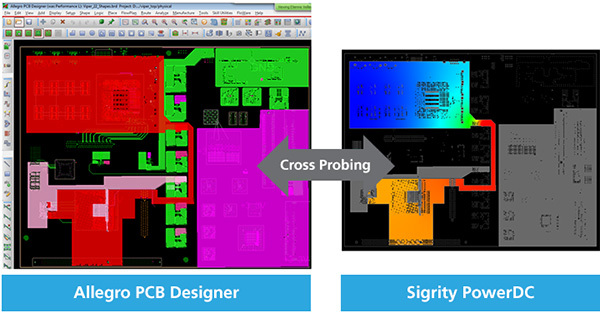 Cross-probing between Allegro PCB Designer and analysis results enables the PCB designer to use the visual analysis results to determine what needs to be changed in the PCB, such as increasing the size of power shapes, adding vias, adding planes, etc. Re-using the PI expert's set-up enables the PCB designer to change and re-analyze the design, including the changes to the original set-up.